Being Light Beings ~ is what we ARE. Consciously ~ is entering into no limitation, with no memories creating those energetic responses that spurn our “hurt” self into taking front stage. Almost as if…the hurt self is solely what we ARE. Beyond the veil of limitation, is the truth of OUR Being. OF what we ARE. What appears as the limitation, is the walking through; almost as if in a cloud, the hurtful memories energetically charged through our subconscious mind. This PROMPTS us to see that we are to be loved by us. It is the process of recognizing we are to love ourselves first, that we take responsibility to be fully realized. Fully blossoming into what we ARE. What we have always been. This process of recognizing we are to love ourselves and to stop looking for someone else to love us first ~ is the very first step, in our transformation and Ascension. We love ourselves as if we are being the parent to the child within us. Being gentle, compassionate and caring. Naturally then, as we are Authentically being gentle, loving and caring to ourselves, the judgements end. The attachments to the external dissolve. We become REAL and FREE. Self Realized, responsible Beings, filled with LOVE. We are left as we truly are. Whole Beings ~ Light Beings filled with true love. This is a state of Being. In This we consciously UNITE and awaken our DNA to The All That We Are. 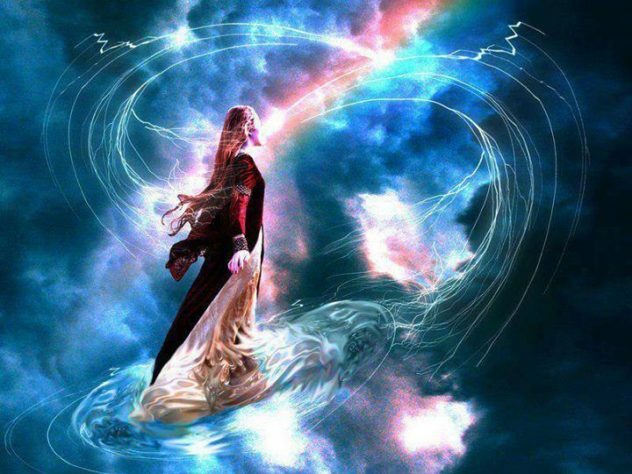 We ARE Light Beings ~ Converging the Parallel Worlds into this our conscious experience. The love to ourselves, heals the wounds that served only as separation.Coexisting In a Majestic Light Universe, where you live and know the true freedom of what you ARE. No longer looking or waiting out there, to forge changes. We live and unite within ALL Worlds and Dimensions, to which we always have existed. And so it is now, in the Love and GLORY of it all, we live as we ARE. Majestic Light Beings ~ Eternally and NOW. Auspiciously ~ Consciously ~ Being What we ARE. This entry was posted in Uncategorized and tagged fully blossoming, L'aura Pleiadian, Light BEings, love, we become REAL and FREE. Bookmark the permalink.